Clara Hertzler is surprised when Jerry Petersheim, her old friend, comes to the garden to drop off his younger sister-especially because Jerry dresses like an Englisher, drives a truck, and uses a cell phone. As the friends get to know each other again after years apart, Clara pushes Jerry to examine why he abandoned his Amish beliefs. Will Clara help Jerry renew his faith in God, and will they find love along the way? 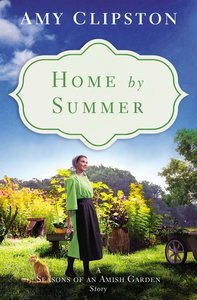 About "Home By Summer (Season Of An Amish Garden Series)"